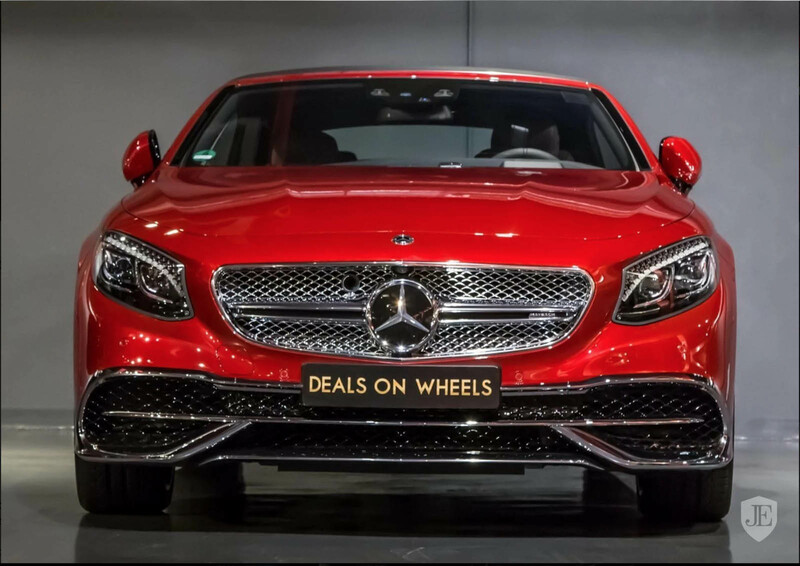 Saudi Arabia recently reversed a decision which prevented women from driving and now the country is hosting a car show designed specifically for them. Reuters reports the show was held at the Le Mall in Jeddah and says “women flocked” to the event. A number of different vehicles were on display including models from Chevrolet, Nissan, Kia and Toyota. 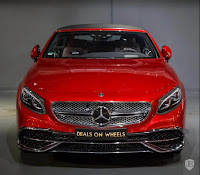 While they might not have been the flashy exotics people typically imagine in the Middle East, the event was focused on fuel-efficient vehicles. There’s no word on how many people attended the event but Ghada al-Ali told the publication, “I’ve always been interested in cars, but we didn’t have the ability to drive.” She went on to say she’s interested in buying a car now that King Salman has lifted the ban on female drivers. The news comes a particularly odd time as reports are suggesting Turkmenistan has banned women from driving in that country. AKI Press claims the ban was enacted in December and police are now beginning to enforce the law. 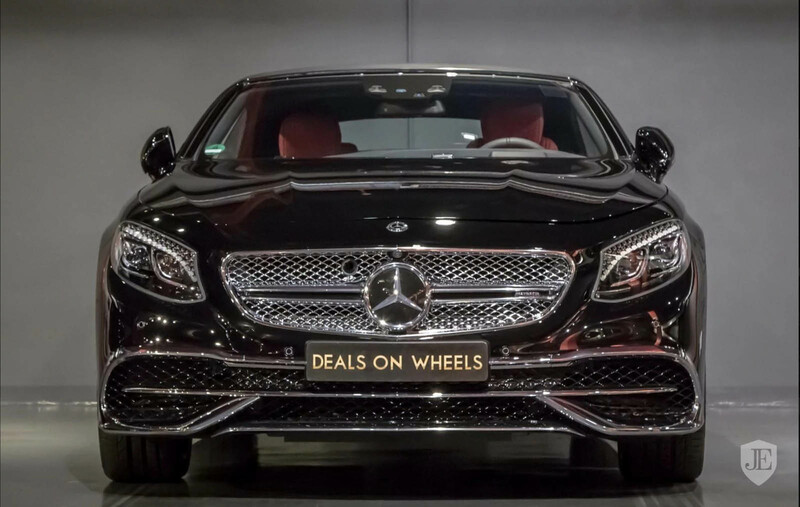 This comes shortly after another odd report which claimed the country’s president wants to eliminate all of the black cars in the country’s capital of Ashgabat. 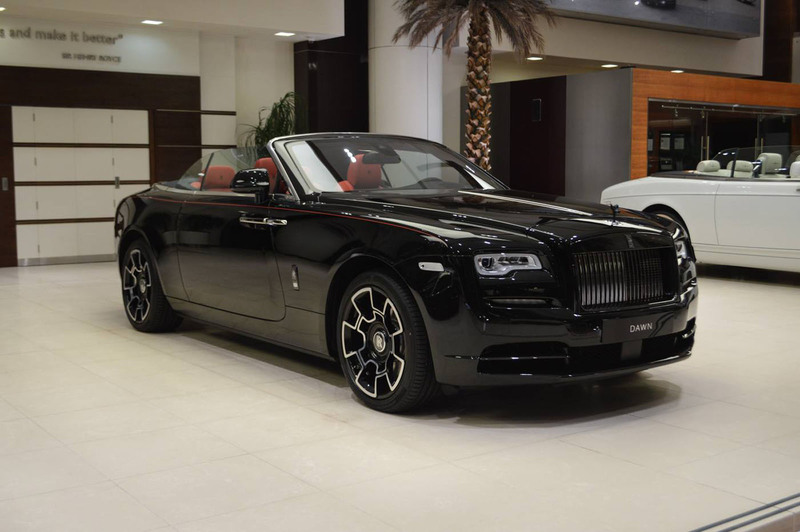 As far as weird laws go, the prohibition of black cars in Turkmenistan definitely makes it into our Top 10. 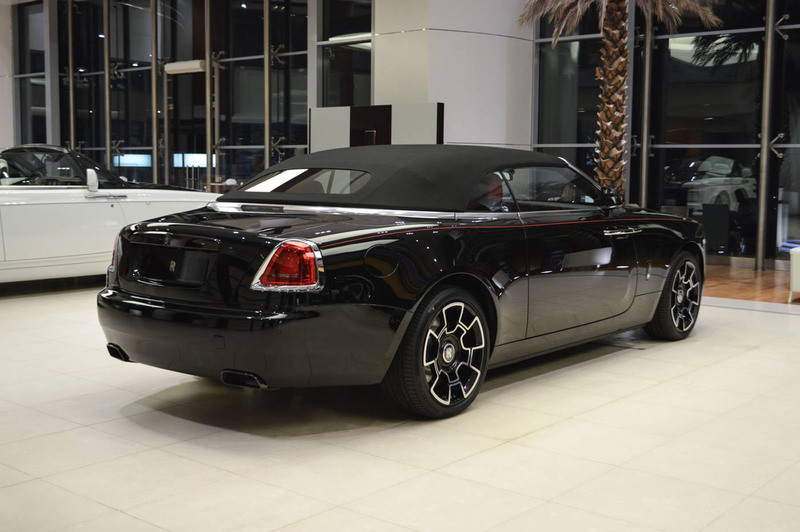 The country first implemented a ban on black cars back in 2015, although it only applied to imports. 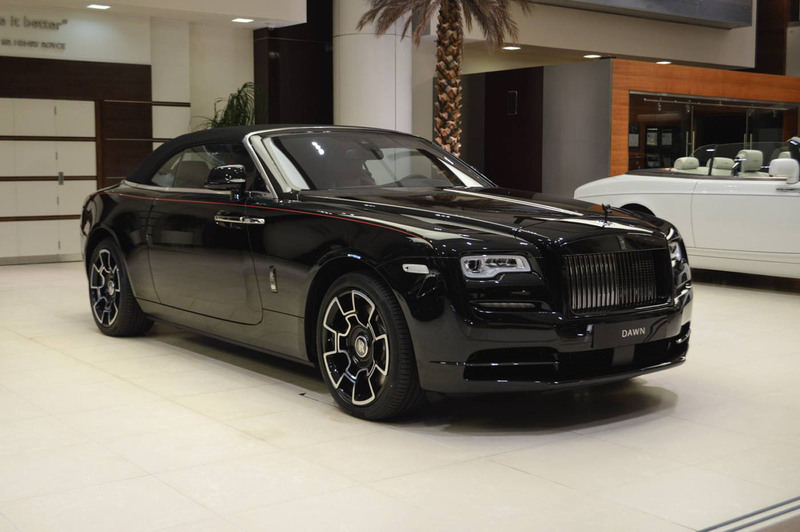 Now, president Gurbanguly Berdimukhamedov has reportedly banned all black cars from the country’s capital of Ashgabat. What’s worse is that some car owners have already found their vehicles missing, as many black cars have been towed away to police impound lots. 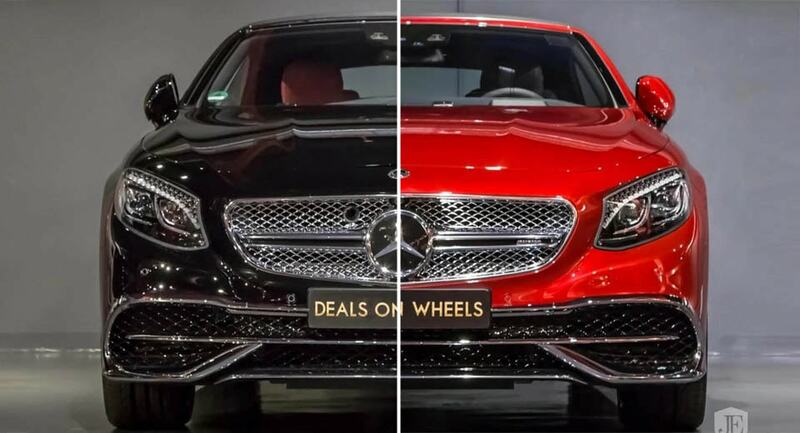 In order to get their cars back, they must sign a document agreeing to repaint their vehicles in a lighter color – with white scoring you the most “points”, as it’s known to be the president’s favorite color. 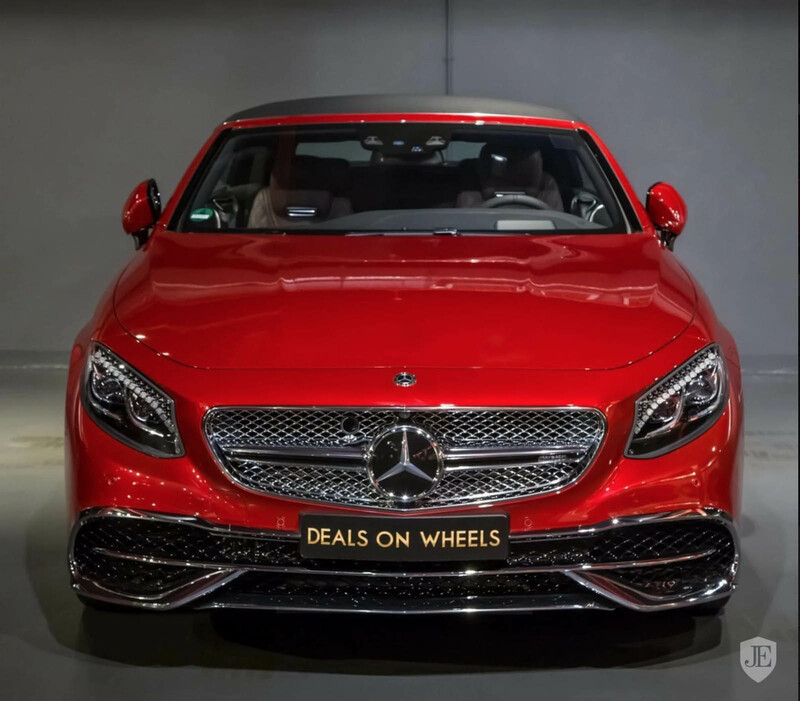 Meanwhile, fees for car painting services have doubled, where according to Chronicles of Turkmenistan, they went from $500 to $1,000 in car service centers. As for tinted windows, don’t even think about it: they have been banned since 2014. While calling this the “RAM Wrangler” would be the simplest way to describe it, in actuality, it looks more like something that a giant version of Cruella de Vil might drive. 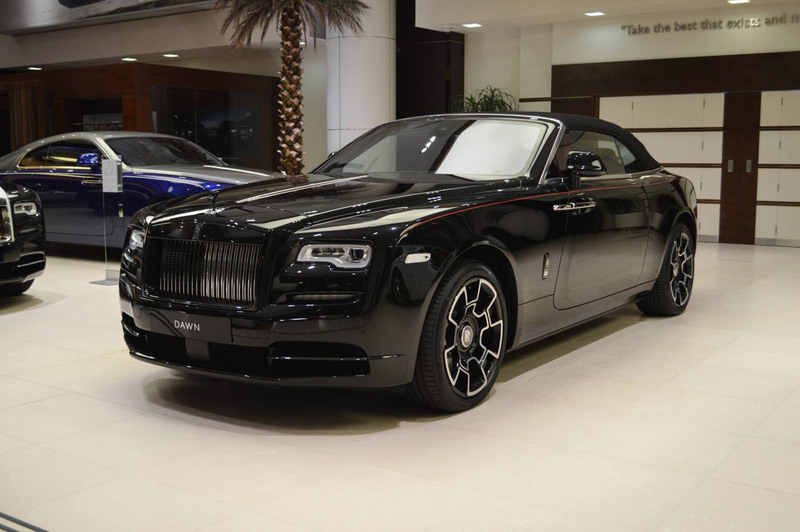 This image was uploaded to Reddit by user craigchandler0398, and according to MiceTimes, the car is part of the exclusive collection of Sheikh Hamad Bin Hamdan al Nahyan of Abu Dhabi. As you can see, while the front end belongs to a RAM truck, the entire cab is from a Jeep Wrangler. Meanwhile, there’s no telling what type of chassis work was performed underneath that body kit, or what type of engine lies buried underneath the gigantic bonnet. 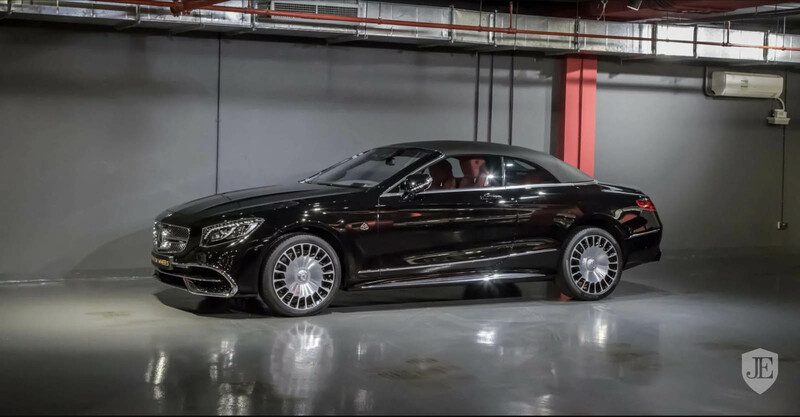 Believe it or not, this is hardly the weirdest thing you might find in the Sheikh’s collection, as he also owns a gigantic Jeep and Dodge Power Wagon, an old S-Class monster truck, a 6-wheel Nissan Patrol and even a house on wheels. For the rest of us however, seeing a part Jeep, part RAM, part “I can’t even…”, makes for a rare and unusual sighting, to say the least. 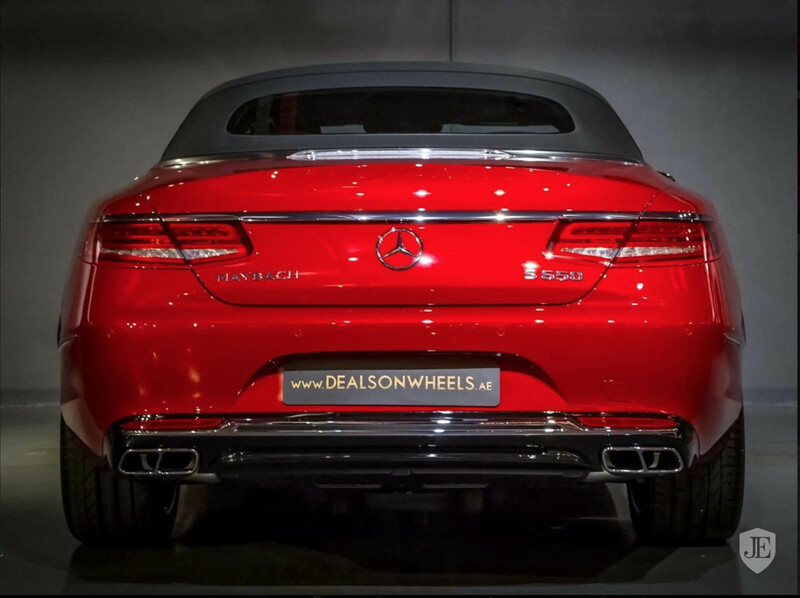 The Mercedes name carries with it a lot of clout. 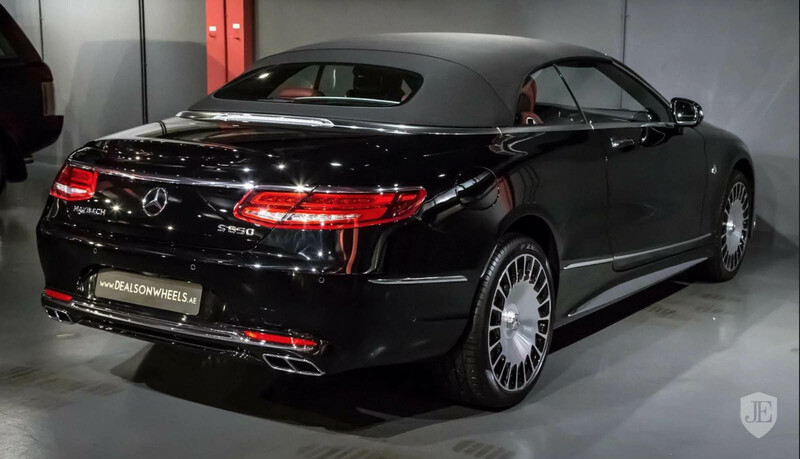 Maybach all the more so. 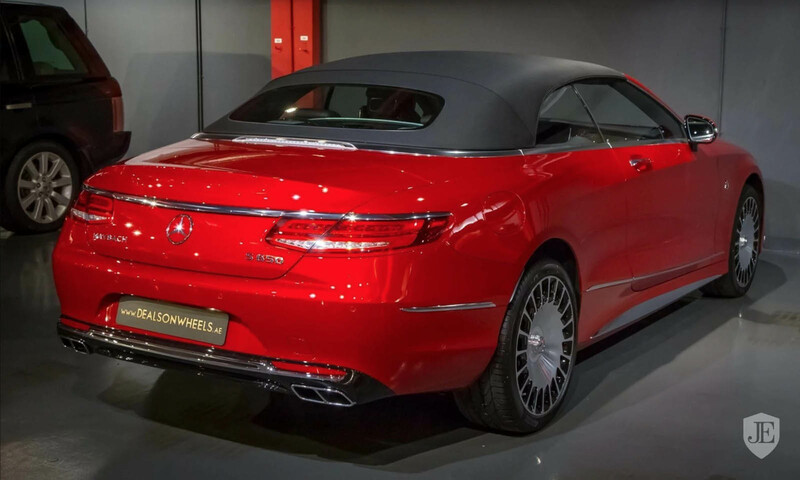 The S650 Cabriolet, then, might be considered the Mercedes of Mercedes – or the Maybach of Maybachs. 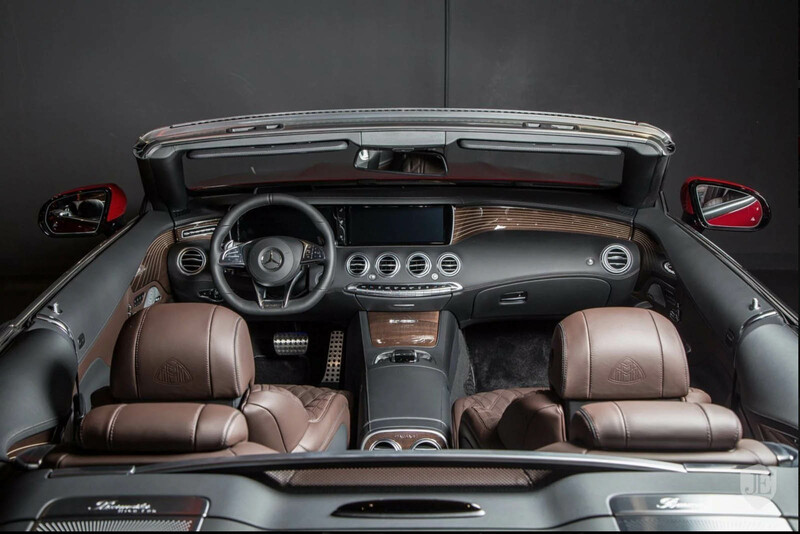 Based on the S-Class convertible, the S650 was a highly exclusive set of wheels. 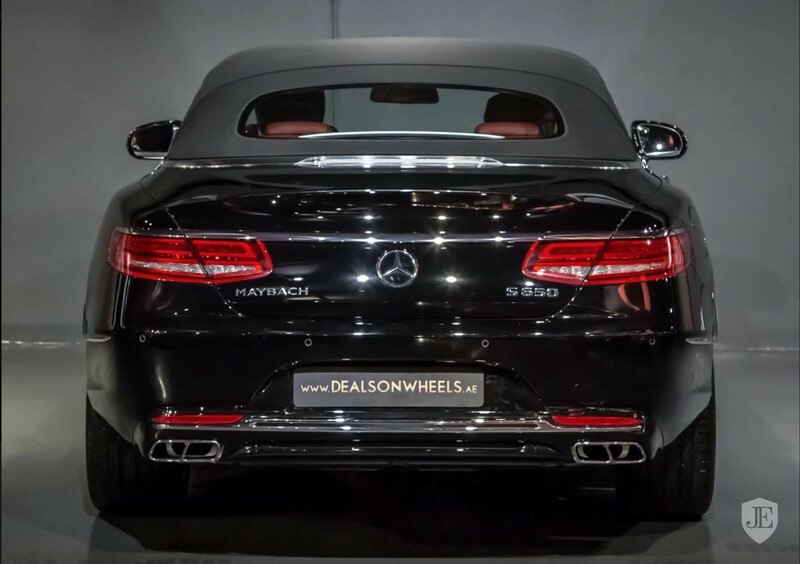 It packed the 6.0-liter twin-turbo V12 engine from the AMG S65 into an even more luxurious package. 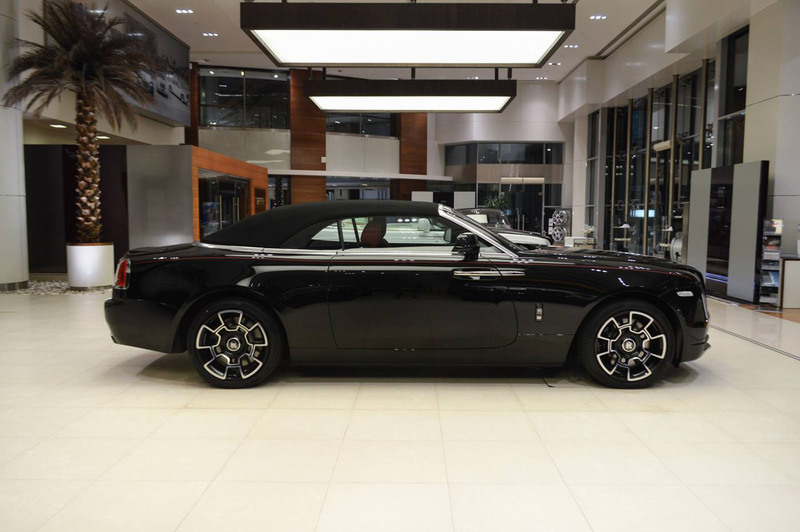 Only 300 were made, leaving the overwhelming likelihood that you didn’t get your hands on one. But if you missed your opportunity the first time around, there are still some to be found on the second-hand market. And this dealer has two. 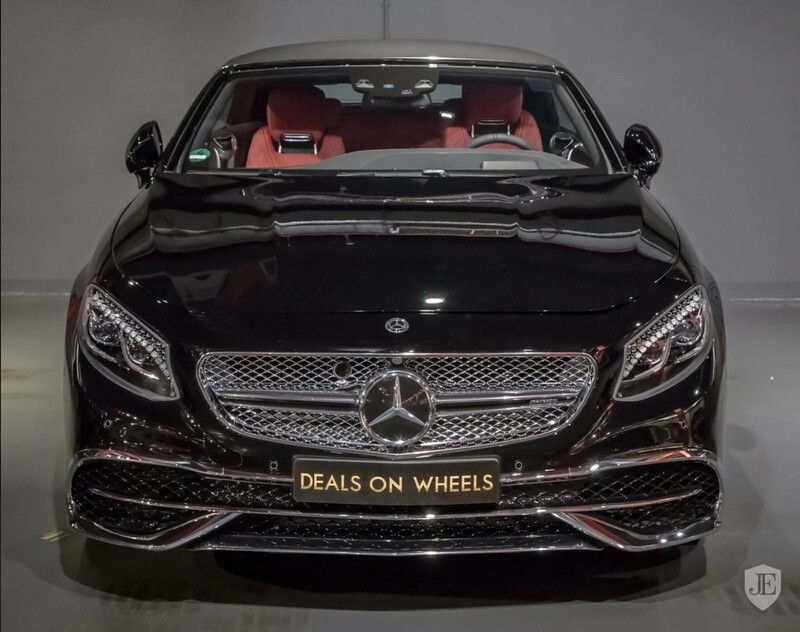 Listed by Deals on Wheels out of Dubai are two examples of the ultimate drop-top Benz: one in red with a deep brown leather interior, the other in black with red leather. 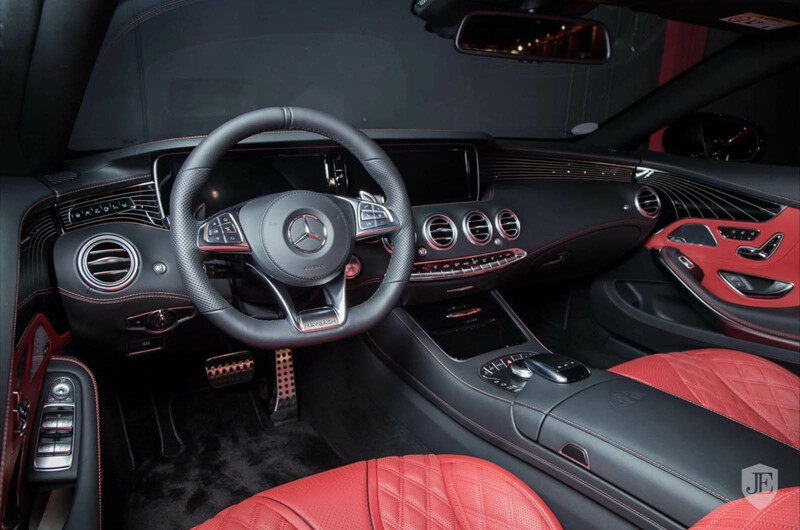 So if you like the color red, it may be a tough choice – both presented in brand-new condition with only delivery miles on the odometer. 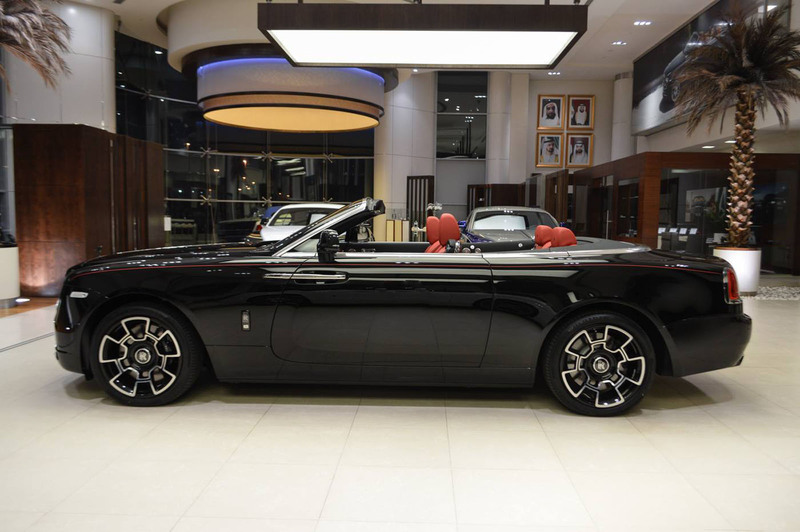 Even tougher, though, is the asking price: 1,699,000 Emirati dollars, or roughly $462k at current exchange rates. Of course if that strikes you as pocket change, you could always buy both. 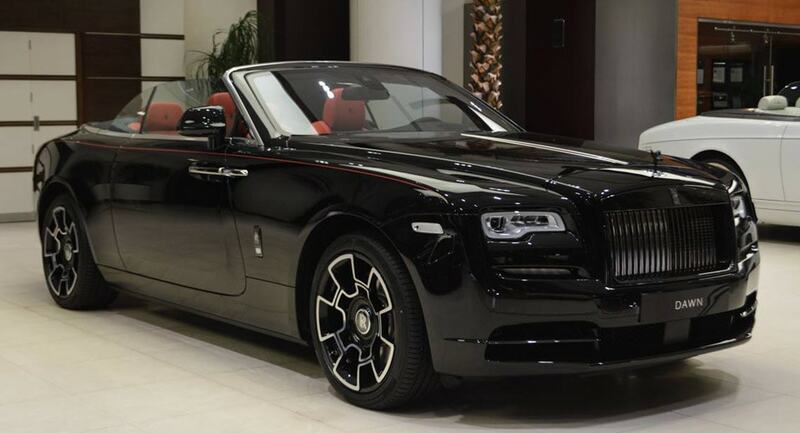 At a time when so many are concerned over their carbon footprint and the future of our planet, it’s almost a little sinister to drive around in a Rolls-Royce convertible, what with its twin-turbo V12 and all the subtlety of a frat boy at a pride parade. But this particular example takes that darkness and elevates it to an art form. 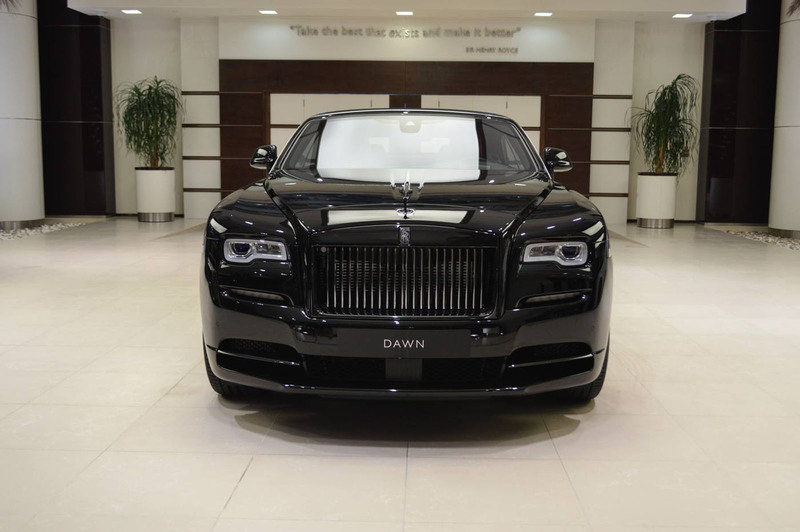 Showcased at the world’s largest Rolls-Royce dealership – yep, the one in Abu Dhabi – this Dawn Black Badge is done up in a special shade called Black Diamond. 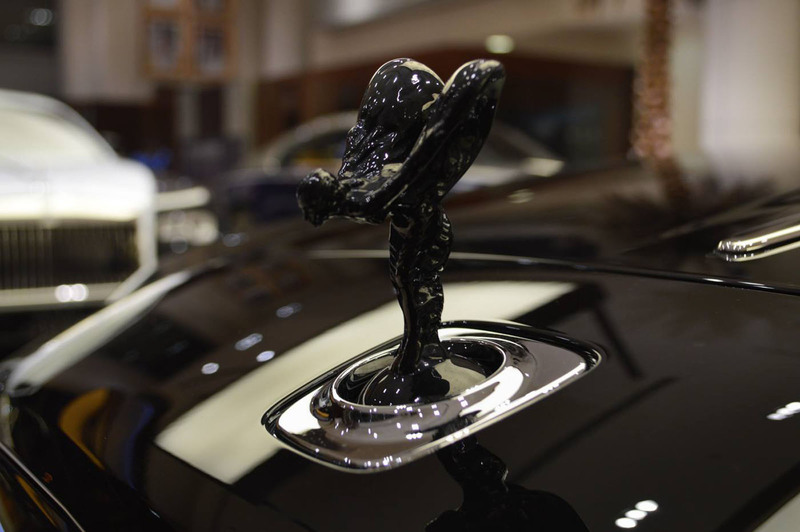 The brightwork has all been blacked out, too, right down to the Pantheon grille and Spirit of Ecstasy hood ornament. 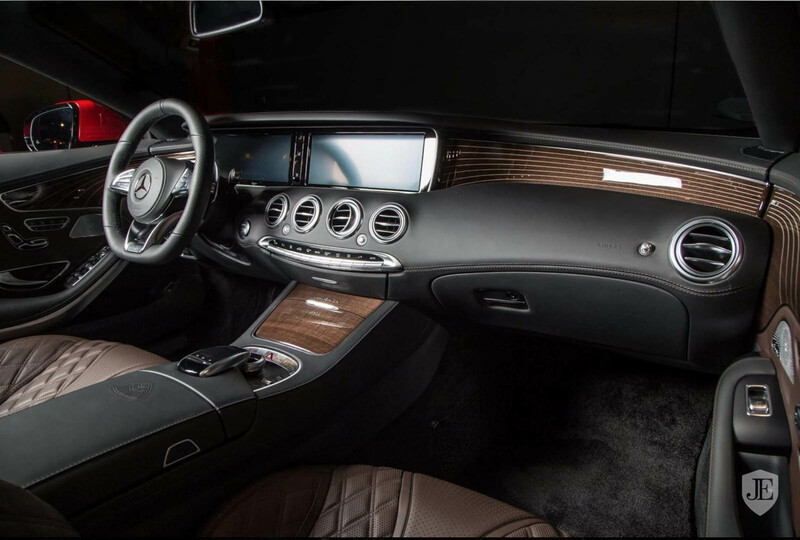 The interior trim is a carbon-like Technical Fibre woven with aircraft-grade aluminum. 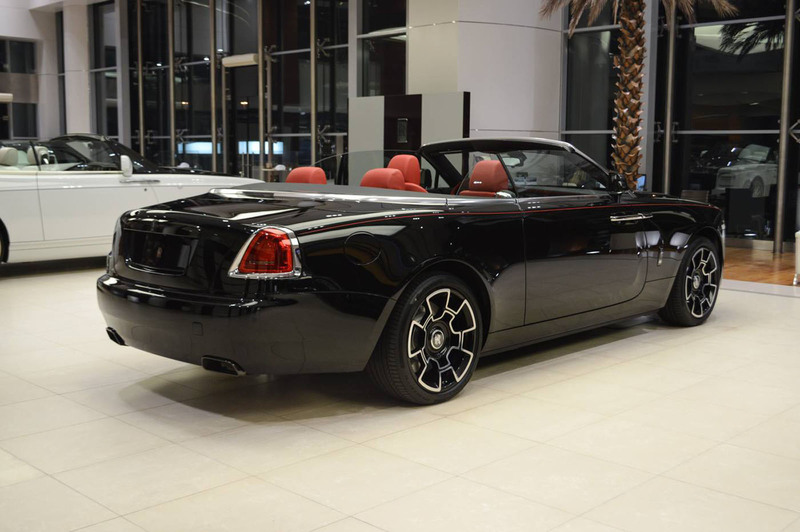 The fabric roof is black too, as are all parts of the wheel except for the polished spoke fascia. 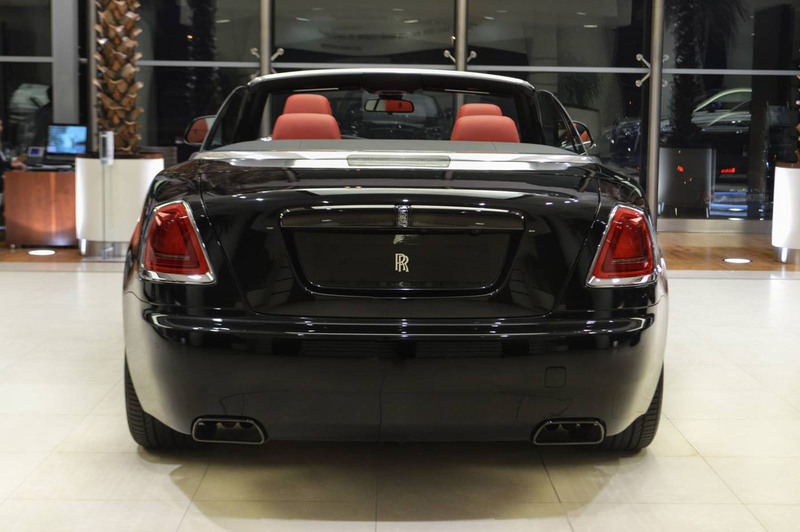 It’d be completely murdered out altogether if it weren’t for the red accent leather (complimenting the black) and the matching Mugello Red coachline, which we’re not sure make it any less sinister-looking. The finished product looks a little more Darth Maul than Darth Vader, but it’s definitely driving on the Dark Side. 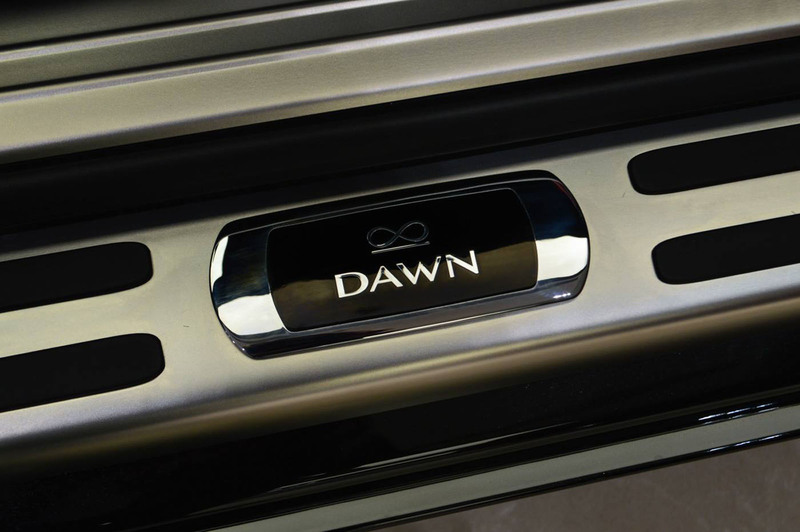 And driving pretty fast, you can be sure – the Black Badge Dawn’s 6.6-liter engine squeezing out 593 horsepower and 620 lb-ft of torque (up 30 hp and 45 lb-ft on the standard version). As awesome as the BMW M4 is, if you’re craving exclusivity, opting for an Alpina-tuned 4-Series should help you stand out more among the crowd. The best part is that you wouldn’t be sacrificing any performance, as the B4 S Bi-Turbo puts out 9 PS (9 HP) and 56 Nm (41 lb-ft) more than the stock M4, for a total of 440 PS (434 HP) and 660 Nm (487 lb-ft). 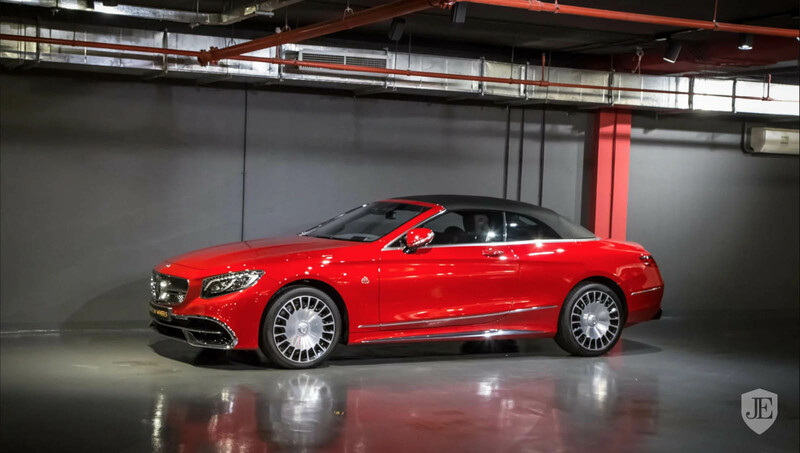 This white model resides with BMW Abu Dhabi, featuring Alpina’s body kit, which includes the custom front splitter, side skirts and boot lid spoiler. 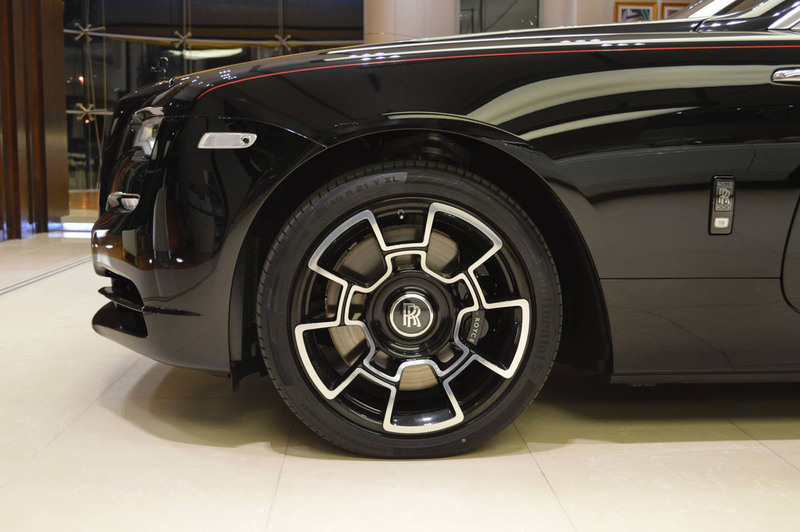 It also has multi-spoke alloys, blue calipers and the tuner’s decals. Other mods include the adaptive Alpina sport suspension and the revamped 8-speed automatic transmission with Alpina Switch-Tronic tech. 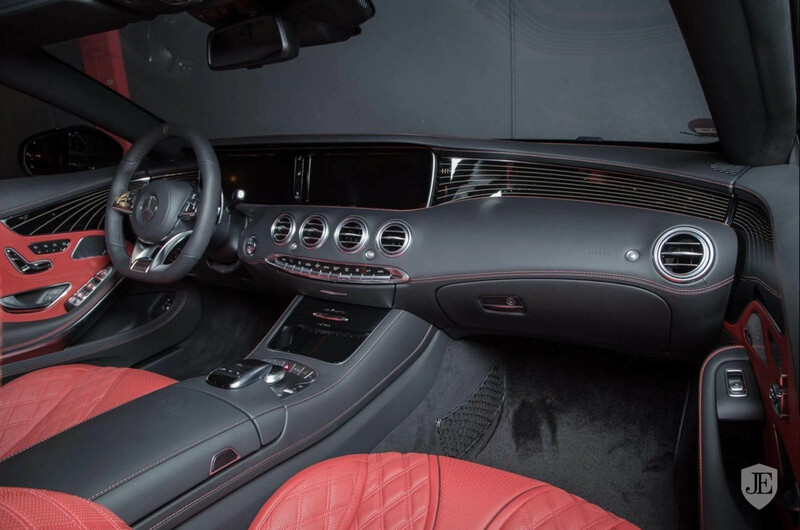 Inside, it’s mostly leather and carbon fiber, which can be found across the dashboard, on the center console and on the door panels. 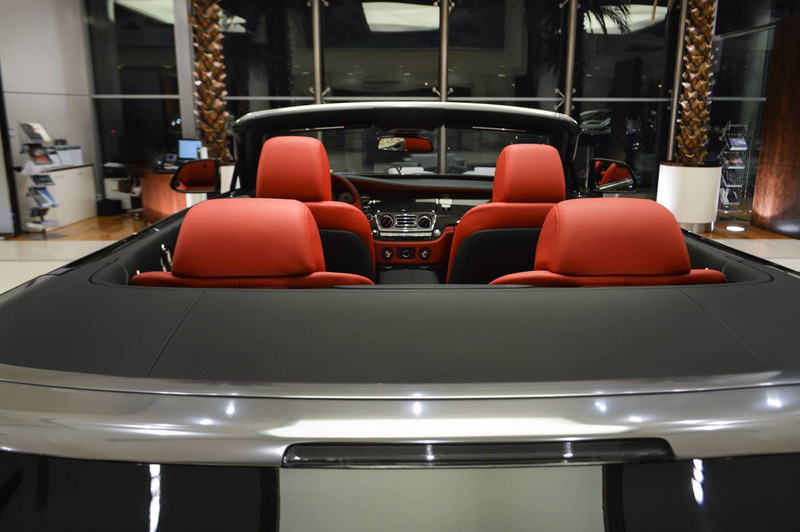 The cabin is both sporty as well as elegant, which is often the case with Alpina products. While most, if not all classic Italian sports cars have their fair share of quirks by today’s standards, the Lamborghini Jarama might just top them all. 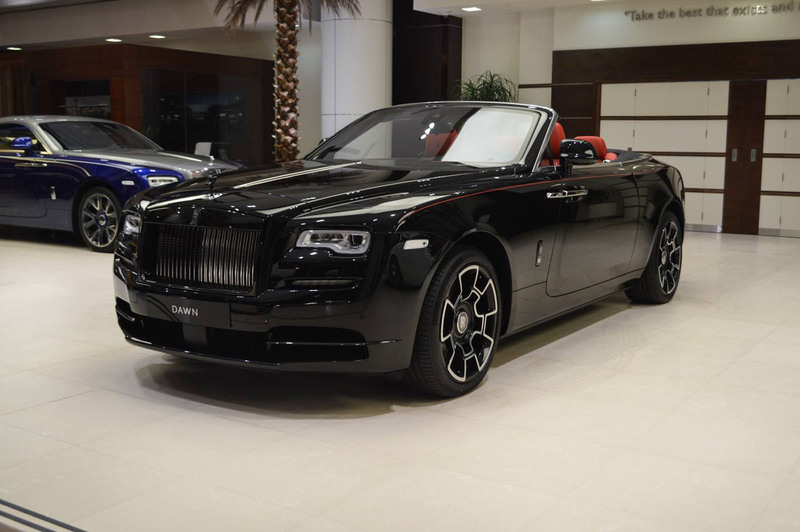 This example, reviewed by Doug DeMuro in Dubai, is about as weird as any Lamborghini we’ve ever seen, and it’s not because of the way it looks. The Jarama is a 2+2 grand tourer from the early to mid 70’s, featuring a more angled design than the Espada, and a 3.9-liter V12 engine, which actually sounds pretty darn nice, as DeMuro was more than happy to point out during his drive. 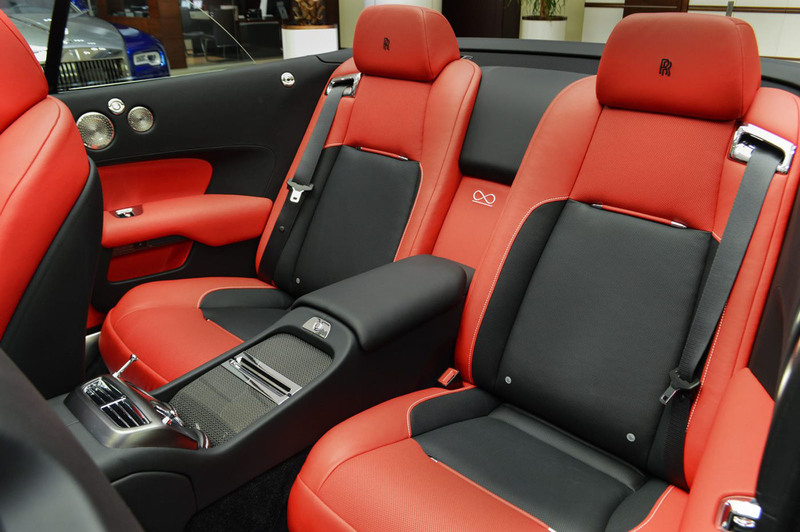 Yet, it’s the interior of this car that can only be described as extremely weird. Buttons are positioned all over the place with all types of cryptic symbols on them. 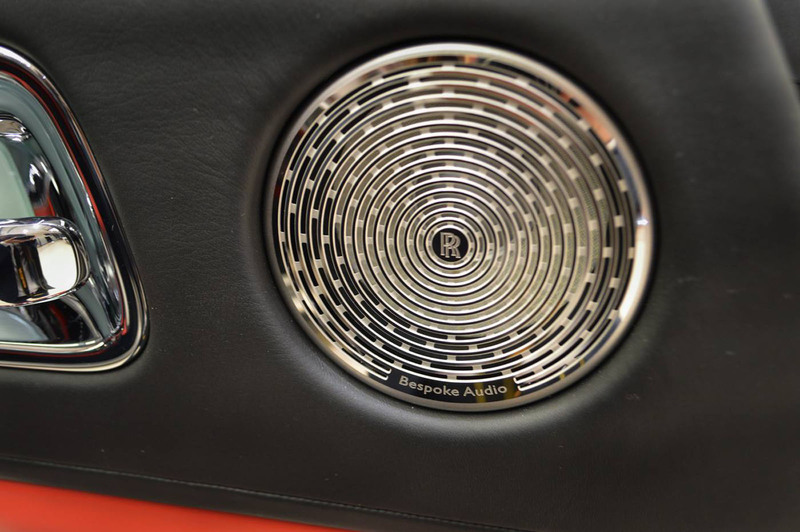 The radio is operated by “feel”, not by sight, the windshield washer button is nowhere near where it should be, and there’s a locking mechanism just for the trunk handle (not the trunk), which by the way isn’t a hatch, despite the car’s aesthetics. On the road, aside from the great engine note, the Jarama isn’t all that quick, and doesn’t feel particularly nimble. But because of the sound, DeMuro really couldn’t wipe the smile off his face while behind the wheel. This tuned X6 M is the latest Bimmer to arrive at Abu Dhabi Motors, and it’s equipped with a variety of aftermarket bits. 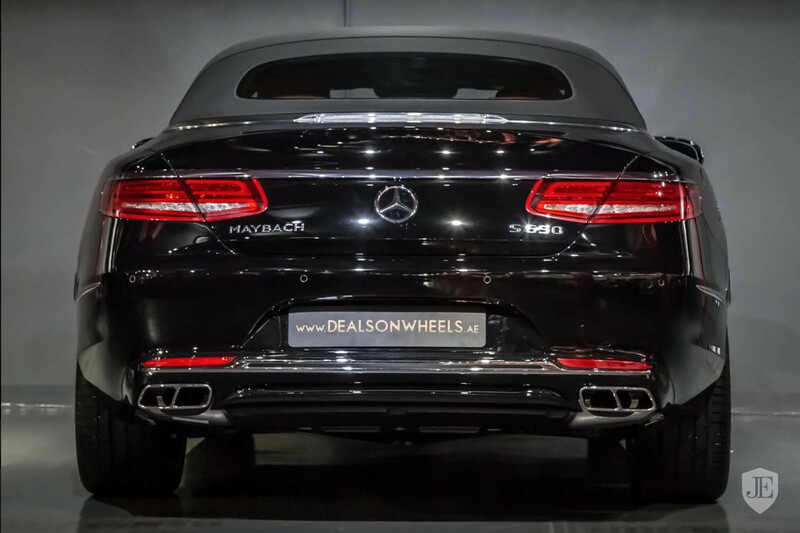 3D Design is responsible for the exterior mods, thanks to its carbon fiber body kit that includes front and rear spoilers, plus new side skirts and diffuser, whereas Manhart’s carbon hood replaced the factory item. 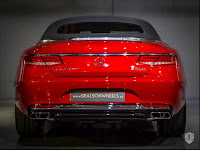 It also sports a new Akrapovic exhaust system, 23-inch alloy wheels from Manhart and BMW’s own M Performance parts such as black accents on the kidney grille, front fenders and roof, and carbon fiber mirror caps. 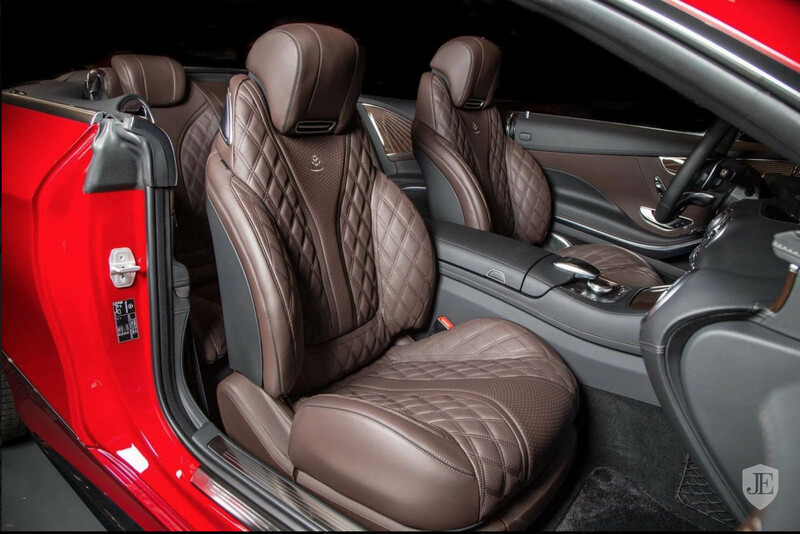 Things have become a tad sportier inside as well, where this X6 M features red leather with red stitching on the sports seats, armrests, doors, and dashboard, along with black gloss and carbon fiber trim. 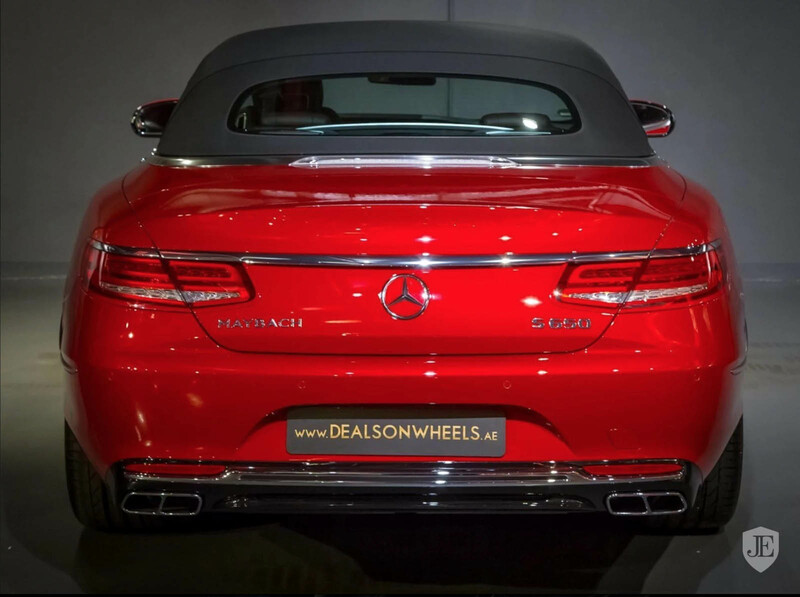 The 4.4-liter twin-turbo V8 engine has remained untouched, but then again it’s already powerful enough in stock form, making 575PS (567hp) and 750Nm (553lb-ft) of torque, which are enough for a 4.2-second 0-100km/h (62mph) acceleration and a 250km/h (155mph) top speed. Some Middle Eastern markets can’t get enough of BMWs with wacky paintjobs and interiors, hence the multitude of flashy cars that emerge, quite often, from BMW Abu Dhabi Motors. The latest one is a 750Li, which may not be the flagship version of the new 7-Series, but it’s still very quick, capable of reaching 100km/h (62mph) in 4.5sec, thanks to its 445hp and 650Nm (479lb-ft) of torque V8 engine. 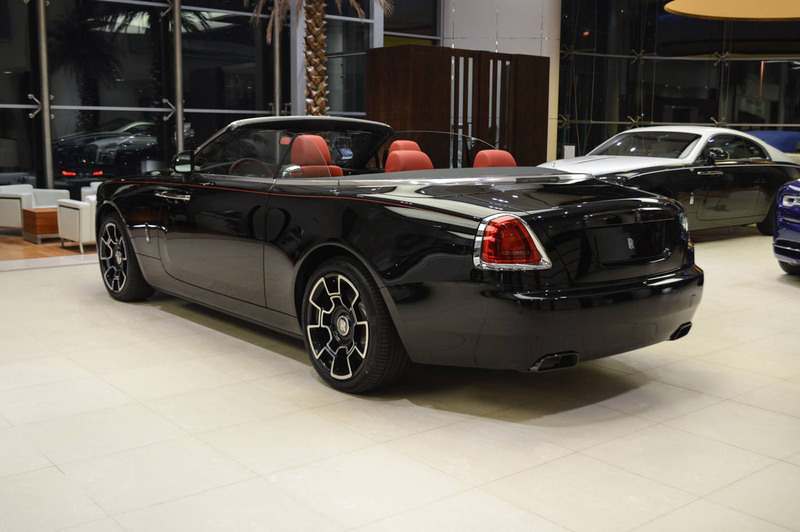 However, its performance is not what interests us, in this case, because this particular example is finished in Atlantis Blue. 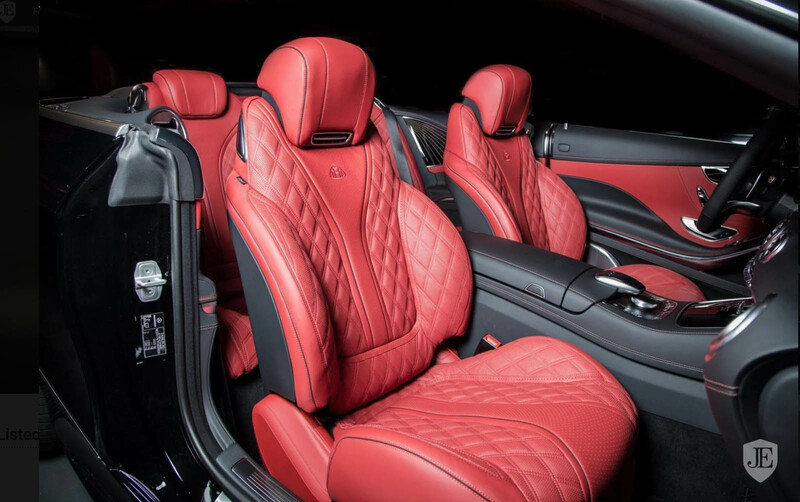 The color, which is the work of BMW Individual, was also applied to other BMWs in the past, including several M3s and M4s, and represents a step away from the default black, grey, or white finishes that most customers prefer for the 7-Series. 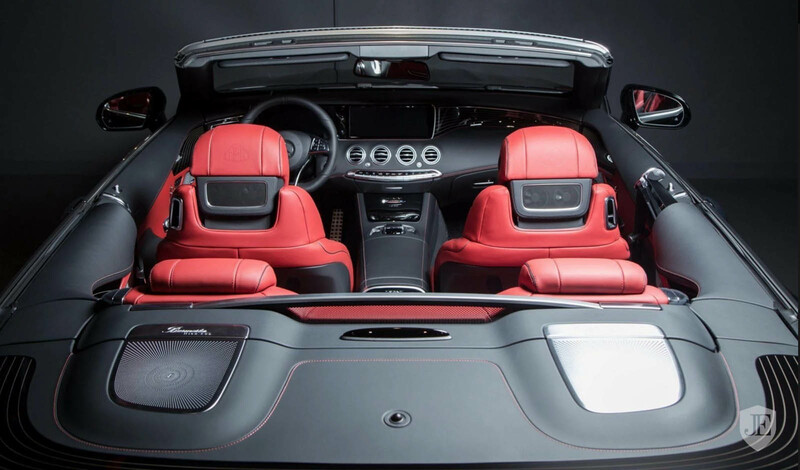 Step inside, though, and you’ll see the bright red leather that covers the seats, door panels, lower part of the dashboard, and central console, contrasting its exterior and making the whole car more unique. Now, for the right sum, Abu Dhabi Motors, which happens to be the world’s largest BMW dealership, would sell you an identical BMW 750Li, as this one is probably spoken for, and if you’re not fans of the flashy bits, then you could tell them exactly what you want and they’ll make it happen. 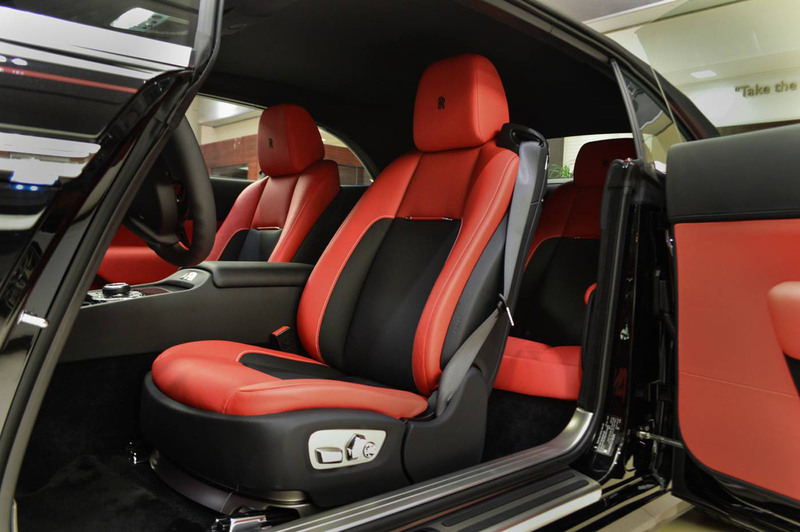 Believe it or not, every once in a while Lamborghini built cars that seated more than just two people, even before the Urus ever materialized from concept form to an SUV you can order today. Aside from the LM002, which obviously seated more than just a driver and a front passenger, the automaker also came up with the Estoque sedan concept, back in 2008, which (sadly) was ditched in favor of the super SUV. 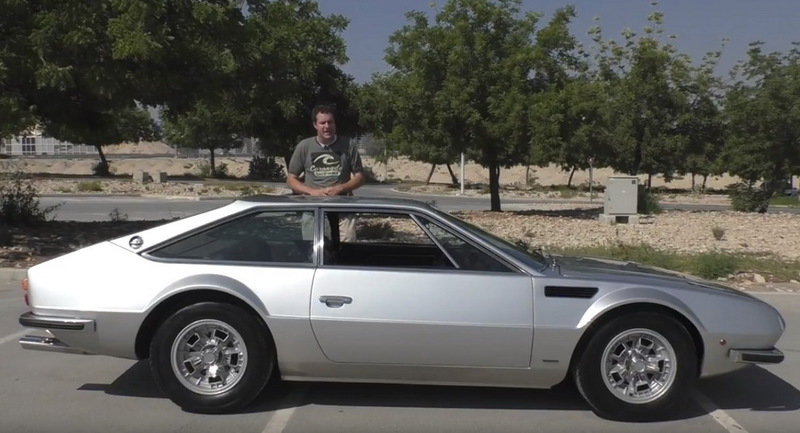 Long before that ,though, there was the Espada, a four-seat grand touring coupe built between 1968 and 1978, this one here, tested by Doug DeMuro in Dubai, being a 1973 Series 3 model. In its glory days, its 3.9-liter V12 put down 325 PS (321 HP), which today may not sound like a whole lot, but at the time it was an impressive figure. 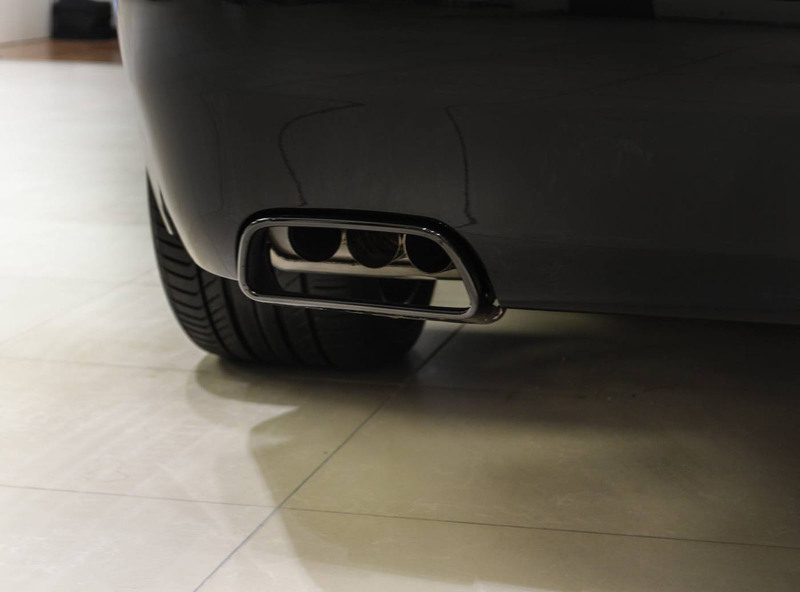 Aside from sitting quite comfortably behind the wheel, DeMuro also noticed that the car was actually quick enough to put a smile on his face – although the exhaust note had something to do about that, too. Overall, he was impressed with it dynamically, especially for a car that was built 40 years ago. You can check out his full review in the video that follows right below. Dubai’s police fleet includes some of the hottest vehicles out there, from Porsches to Bugattis, so it wouldn’t surprise anyone if they decided to acquire the new Lamborghini Urus, too. Until they do, designer Aksyonov Nikita has imagined what it could look like with the special dual-tone police livery and the obligatory light bar at the roof. A Lamborghini Urus police cruiser would blend in with the rest of the division’s exotics and would make a good pair with another potent SUV they have been using for some 4 years: the Brabus B63S-700 Widestar, a tuned Mercedes G-Class that’s good for 690hp. 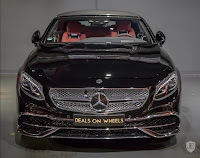 The Italian super SUV is less powerful, with its 4.0-liter twin-turbo V8 putting out 641hp and 627lb-ft (850Nm) of torque, but even so it is faster from 0 to 62mph (100km/h), with just 3.6sec, while the Brabus does it in 4.9sec. Top speed is superior to the Lambo too, as the Urus tops out at 190mph (305mph), approximately 40mph (km/h) more than the tuned G-Wagen, and it also gets a few cool features, including exclusive driving modes, which should make it feel right at home on every terrain, whether it’s tarmac or sand dunes.